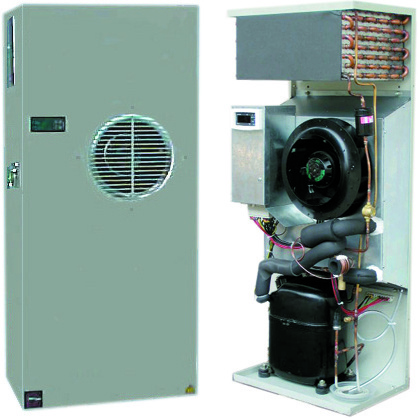 Vulcanic electrical cabinet air conditioning units are self-contained units, used for cooling electrical power cabinets. In the machine tooling and automotive fields, this technology is particularly suitable because of its robustness. Vulcanic offers a full range of air conditioners with a power from 360 to 2500 W, capable of operating in extreme atmospheres (oil mist). These compact units are suitable for any customer plant configuration. Mounting options: facade or roof. Air conditioning units consist of a chiller unit, a fan, an electrical cabinet with regulator, measurement sensor and safety sensor. The unit is fully protected by a painted steel housing. The refrigerant fluids used in Vulcanic’s range are compliant with the latest environmental standards. 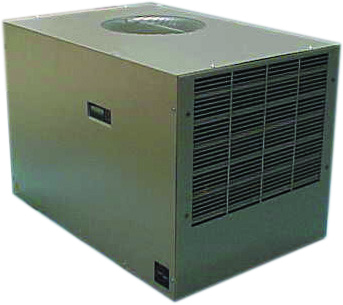 Vulcanic’s electrical cabinet air conditioning units are designed and manufactured as part of our standard range in our factory in Neuilly sur Marne.